Weekly Podcasts Coming to CrackBerry.com! 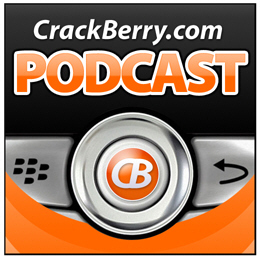 The community has spoken and the verdict is in- weekly podcasts are coming to CrackBerry.com! Big Thanks to all those who left comments and sent in emails... Craig and I have been absolutely blown away by the response, it was overwhelming! This week I actually joined Dieter and Malatesta on the WMExperts Podcast where we talked about CTIA and also about the challenge Microsoft is putting up against RIM in the Enterprise market with Microsoft System Center, Mobile Device Manager 2008. We went a little long, so Dieter split up the Podcast into two episodes. So if you can't wait until next week for more BlackBerry Podcast talk, check out WMExperts Podcast Episode 8 and Episode 9. Part I is more CTIA/Windows Mobile news stuff, while Part II is our BlackBerry/Microsoft/Enterprise dicussion. Take a listen!